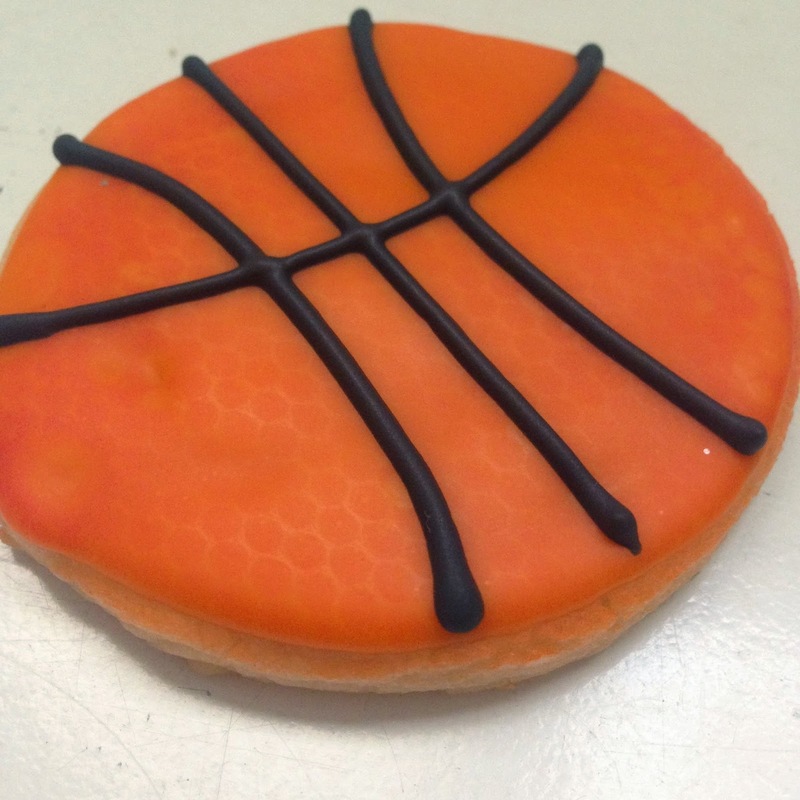 i was asked to do some basketball cookies last week, which gave me the chance to try something i'd seen on sugarbelle's website a while ago. 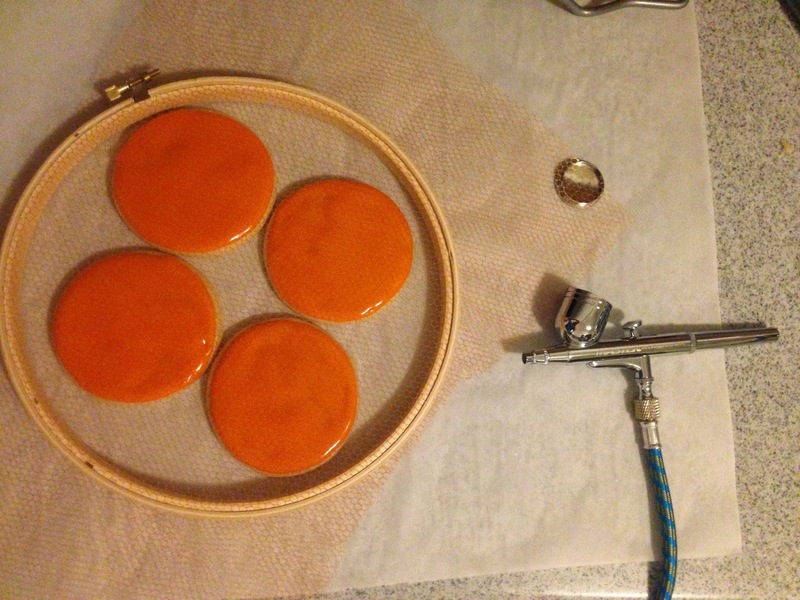 i'd kept the idea in the back of my head, and now that i had my handy-dandy airbrush, i could finally give it a shot. 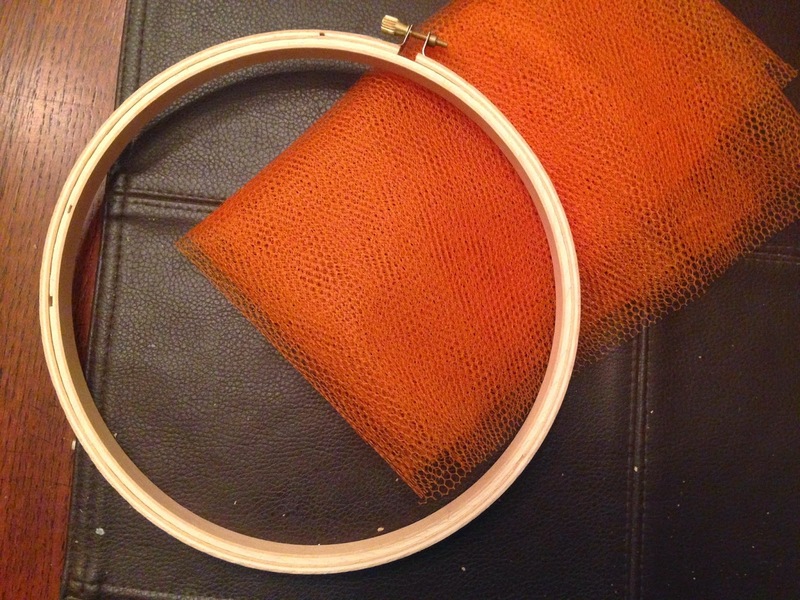 first, a trip to joann's for a bit of nylon tulle and an embroidery hoop. luckily, this was a relatively inexpensive acquisition. 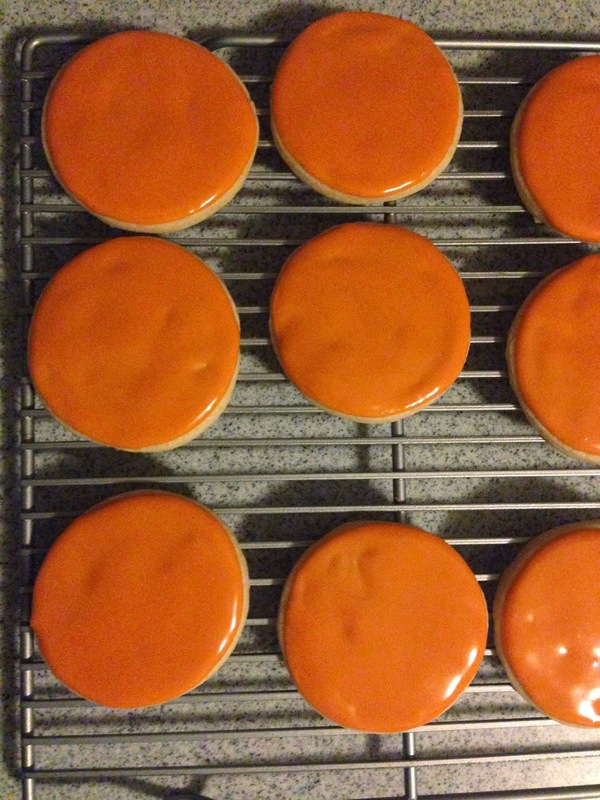 then, i baked up some simple round cookies and frosted them in orange. now for the fun part - the airbrushing. since i was doing this in the evening, it wasn't particularly noticeable after i was all done. poop. do you see it? 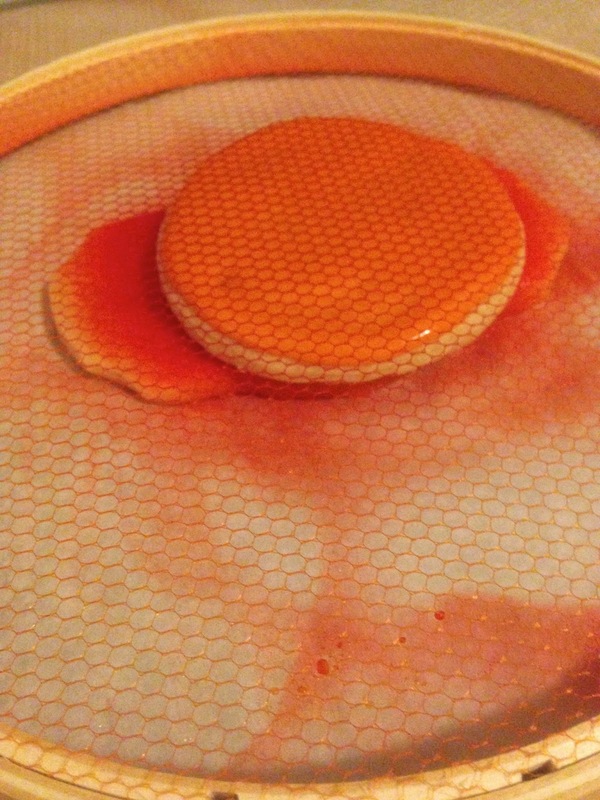 the texture of the tulle created that cool looking beehive-ish pattern on the surface of basketballs. now, i realize that my frosting was probably a little too dark, and had it been a couple of shades lighter the airbrushing would have been a lot more prominent. oh well, live and learn. they still looked pretty good, and my friend seemed pretty happy with them when i brought them over. i really need to get in more practice with this airbrush. i'm still not entirely happy with the results i'm getting. 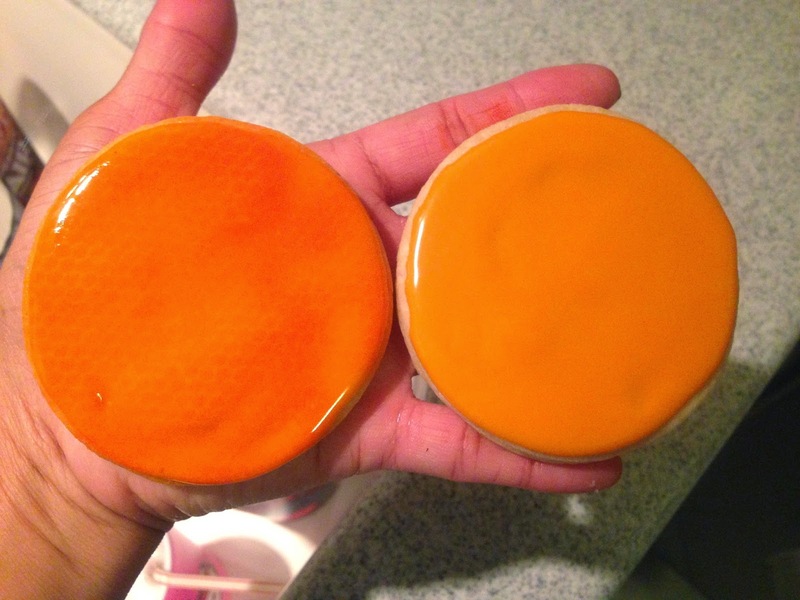 i kind of wonder if it's because i don't use royal icing, like most cookie folks do. but again, i'm not about to switch, so there's that. i'll just have to keep trying. I still think you did an excellent job! They look nice! Royal icing didn't win you a blue ribbon, so don't switch it up. You just need some practice.